TrishyB says: Not confusing enough for you? How about if I shake the camera about some more? Confused now? Not confusing enough for you? How about if I shake the camera about some more? Confused now? Some years ago I watched a film with someone who not only could not tell the difference between Gene Hackman and Clint Eastwood, he or she couldn't tell the difference between Clint Eastwood in the daytime and Clint Eastwood at night. For the benefit of such people are Merchant Ivory films made. 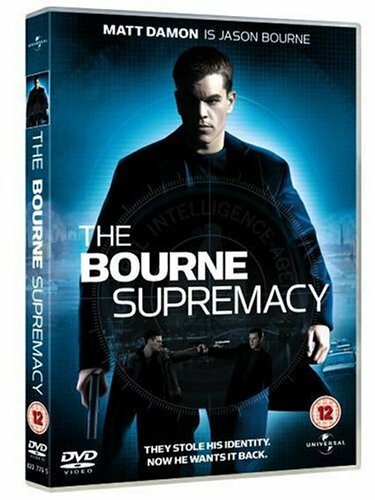 The Bourne Supremacy is not for those people. Not because the story is particularly confusing, because it's not, but because the actors all kind of look the same (with the exception of Brian Cox) and the camera work is that fuzzy, hand held, jiggle-it-about kind of camera work that, combined with fast editing, means you cannot follow a single thing and if you fall asleep for a few minutes in the middle of the film, as I did, you wake up not even knowing who is being chased around Moscow. That said, I like the sensibility of the Bourne films. They take place in old Cold War locations like Moscow and Berlin, they are not hugely flashy and don't involve colossally elaborate stunts and setups. They don't involve one-liners and wisecracks and a lot of extraneous crap. 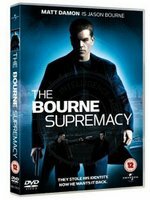 You piss Jason Bourne off, Jason Bourne hunts you down and kills you. What could be simpler? If everyone wasn't wearing black and they could have kept the camera in one place for just a few minutes, I would have really liked this film. The woman in the video shop told us it had a great car chase too. Normally I eschew car chases, finding them dull and screechy, but she was right. It is a great car chase.